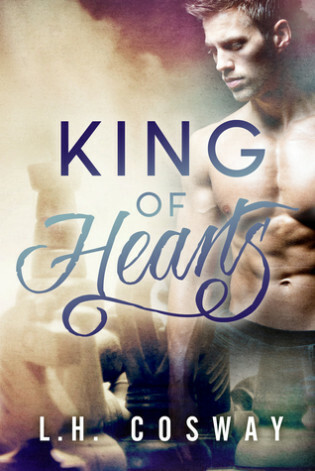 ARC Review: King of Hearts by L H Cosway + Giveaway! 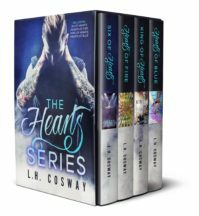 ARC Review: King of Hearts by L. H. Cosway + Giveaway! I used to rule the world.There might be wolves on Wall Street, but there were crocodiles in Canary Wharf. Some of us craved money. Some of us craved power. One of my bestest real life book buddy suggested L. H. Cosway about an year ago and having read a few of her books since; I have come to love her writing, her intelligent, independent heroines and the men they fall in love with. Alexis Clark with her administration diploma applies for a job in an investment bank in Canary Wharf and is pleasantly surprised when she gets an interview call and not so pleasantly surprised when she finds out that it was her face rather than her resume responsible for her getting the interview, Alexis isn’t amused. “Well, then, Mr King, if I do get chosen for the position, I’ll have to prove to you that my looks pale in comparison to what my brain can achieve.” King smiled. Oliver King is the reigning prince of finance in Canary Wharf, London. His life uptil the point he meets Alexis has been about his job and his mother. Oliver and Alexis become fast friends, maybe because their shared sense of humour, love of chess and their drive amongst other things. The first half of the book focuses on their transition from strangers to friends to lovers. Which was done beautifully, their scenes made me smile, laugh and just in general made me feel happy. I loved how they were so comfortable and flirty at the same time. It also pretty amusing to see when Oliver caught on (or shall I say, never bought ) her white lie. All their interactions from the moment they met was the definition of sexual tension, they had great chemistry together. Oliver finds Alexis very amusing not just because she’s funny because she is that, but because she doesn’t mince words, she’s very blunt which in his world is a very uncommon commodity. Alexis finds Oliver fascinating, not just because of his mind or his drive to achieve more but because of his sense of humour, his love for his mother and his vulnerable side. The second part is the aftermath of what happens when someone reaches their breaking point, in this case it was Oliver. He goes from a man that was going nowhere but up in his life to a broken, homeless alcoholic man who wanted nothing to do with the world. Which was difficult to read because he was a confident, really charming guy who seemed to have it all in the first half of the book and he’s barely recognisable in the second half. The only problem I had was I don’t know why but things like the resolution seemed to easy to me, apart from that I enjoyed it. I also loved the epilogue. 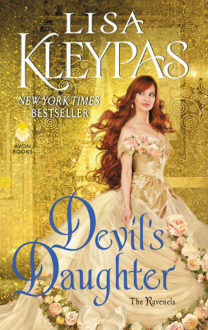 This is part of the Hearts series but can be read as a standalone, all the books in the series are unique because of the personalities, the jobs the characters have and the different worlds they live while living in the same city. So do check them out, Heart Series. This sounds like an intense & interesting read. Thanks for the giveaway chance.